Pepper which is called as the King of Spices is native to India. It is on the of the oldest and the best spice. India always stands first in the production and exportation of this spice. 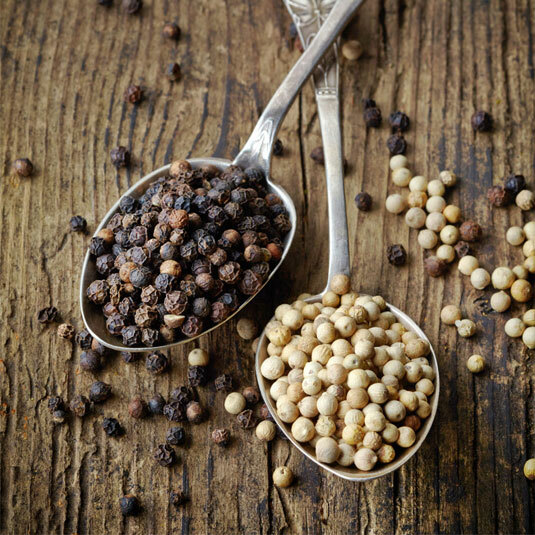 Indian pepper has always found a special influence in the European economy during the Middle Ages. Pepper gave these countries a huge profit. Pepper is a perennial climber and in India pepper is cultivated in the monsoon forests along the Malabar coast. With the help of new advanced technologies in agriculture together with natural advantages, it is possible to produce bigger, more aromatic and good quality pepper. The pepper has great market in foreign countries and the two main grades of pepper are the ‘Malabar Garbled’ and ‘Tellichery Extra Bold’. The green pepper are also processed in various ways such as in frozen form, dehydrated, frozen and dried and packed in brine.